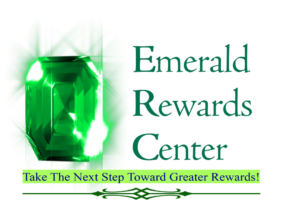 Welcome to the Emerald Rewards Center – Take the next step to greater rewards! 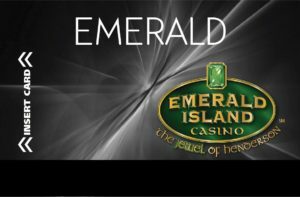 Emerald Rewards Center features a 4-Tier rewards program with different levels based on play. Players are rated four times a year, in three month increments. After the rating period ends, players will receive notification via mail of their new status and rewards. The reward period lasts for the next three months following notification. Up to $1,260 in Free Food! Plus 50% Discounts! Game Side Delights – Free delicious snacks while you play. SEE PLAYER’S CARD DETAILS HERE. 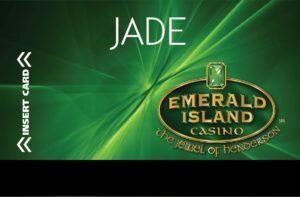 JADE – Everyone is a Jade player by signing up at the Emerald Rewards Center! Each Jade member has the ability to access all of our Every Day Cash Promotions, from Video Reel Bonus, to Cash Back Tuesday, Royal Flush Fridays, including our weekend Wheel of Cash Drawings! We give back to our players each and every day through our promotions. All you have to do is use your card and obtain promotional objectives and YOU WIN! See our Ultimate Member Guide for descriptions of promotions and qualifications. Thank everyone for being a member of the Jade Card. 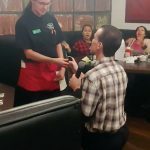 RUBY – Taking the next step toward greater rewards is much easier than you think! To step up to RUBY status, earn 5,000 base points in just 3 months! Base points are dollar for dollar value. $1 played equals one base point. Any multiplier points earned to not count toward becoming a RUBY player. However, multiplier points DO count in purchases at the Rewards Center, eating at the Emerald Island Grille, and our Exclusive Vendor Partner Program! 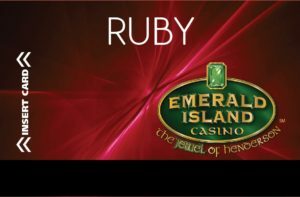 Ruby status holders receive one free meal each week up to $15 in value. That’s up to $180* in FREE FOOD during the benefit period. You choose your free meal day from Monday to Sunday. Also, Ruby status holders can receive two 50% off coupons* to use during the week, Monday thru Sunday up to a maximum of $7.50 per meal. You choose the day or night. *See Rewards Center for complete details and rules. Meals do not roll over to the next week. Tier free-meals may not be used with any other coupon or promotion. 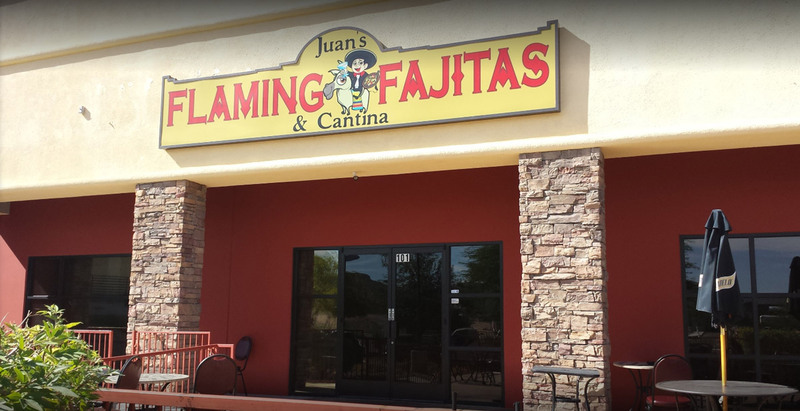 Limit one 50% coupon per day & cannot be combined with any other offer, dine in only please. 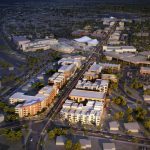 SAPPHIRE – Are you a dedicated player? Do you enjoy free food? There is a lot more to earn from being a Sapphire player. 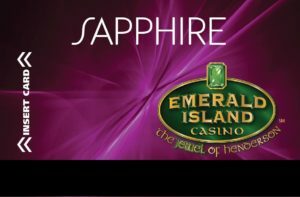 In the three month rating period, earn 30,000* base points to qualify for Sapphire Status. With this esteemed level, we feed you three times a week, days of your choice from Monday thru Sunday. That’s almost $540* in free food over three months’ time! WOW! Get a bigger chance to step up to the Wheel of Cash every weekend by receiving more drawings tickets as a Sapphire card member. Emerald – Known as The “Black” Card. The elite status symbol here at the Emerald Island. A truly dedicated person in playing our slots while enjoying our wonderful daily cash promotions. Earn 60,000 base points during the 90 day rating period Eat like a KING (or QUEEN!) – Enjoy 7 days of dining each week up to $15 for your meal. That is $1,350 of comp food during the benefit period. Get a free gift for making it to Emerald Status. Get more tickets from the Rewards Center each weekend which increases your chances to step up and spin our wheel to win lots of BONUS CASH!